The U.N. Caused Haiti’s Cholera Epidemic. Now the Obama Administration Is Fighting the Victims. 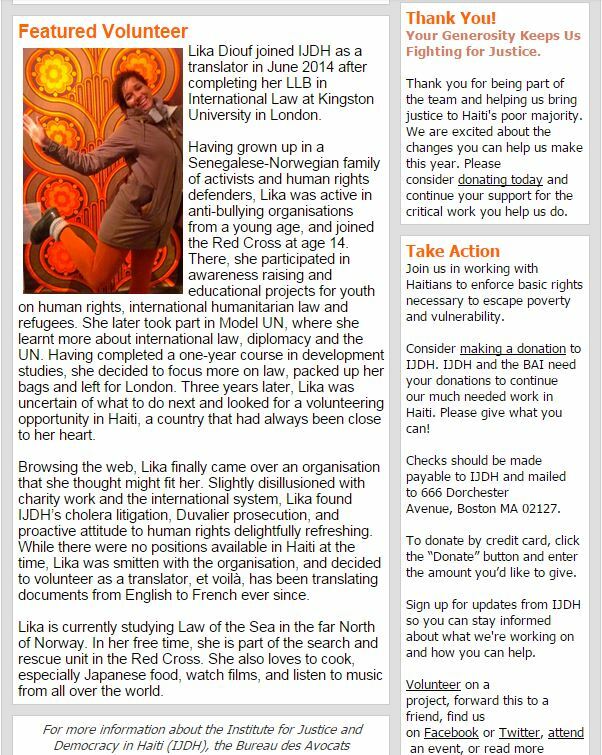 …securing over 80 items of editorial, political, and community support. 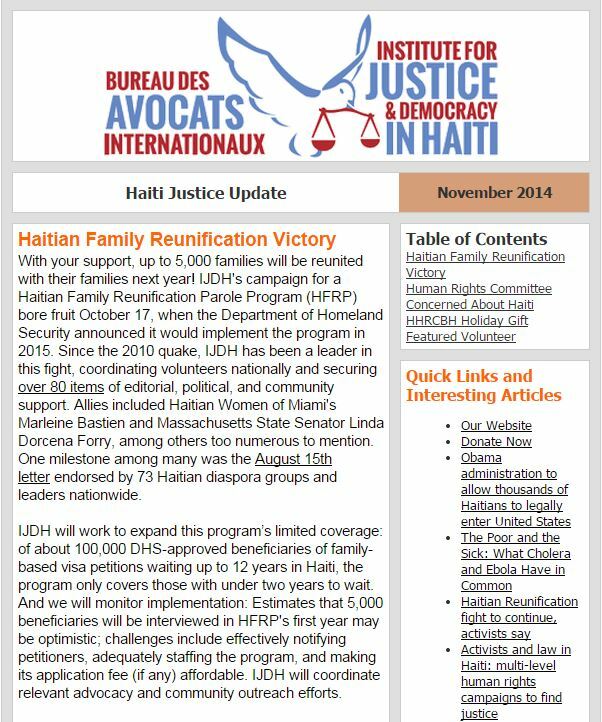 One milestone among many was the August 15thletter endorsed by 73 Haitian diaspora groups and leaders nationwide. On October 30, the UNHRC released concluding observations to the Haitian government. 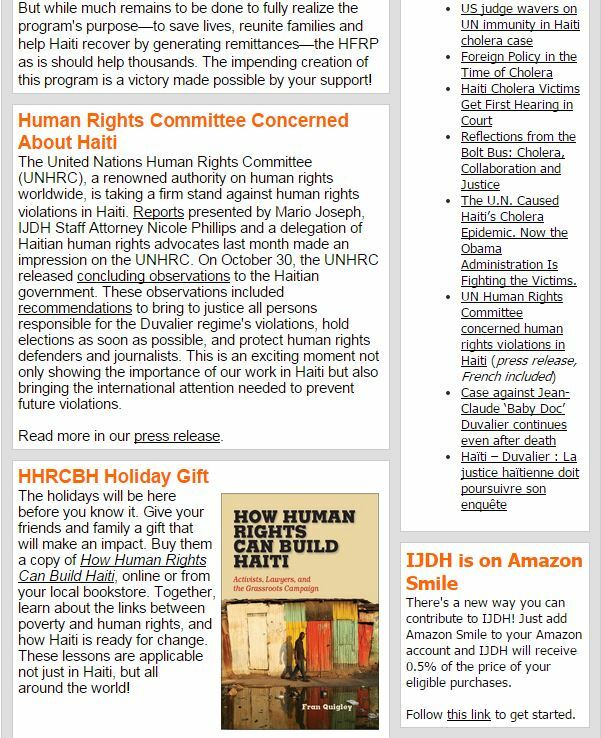 Buy them a copy of How Human Rights Can Build Haiti, online or from your local bookstore.